One of the most anticipated things at Manchester’s world-famous Christmas Markets can now be revealed – the mugs! Each year a brand new design is unveiled that visitors to the Markets can take home as a keepsake of their visit. 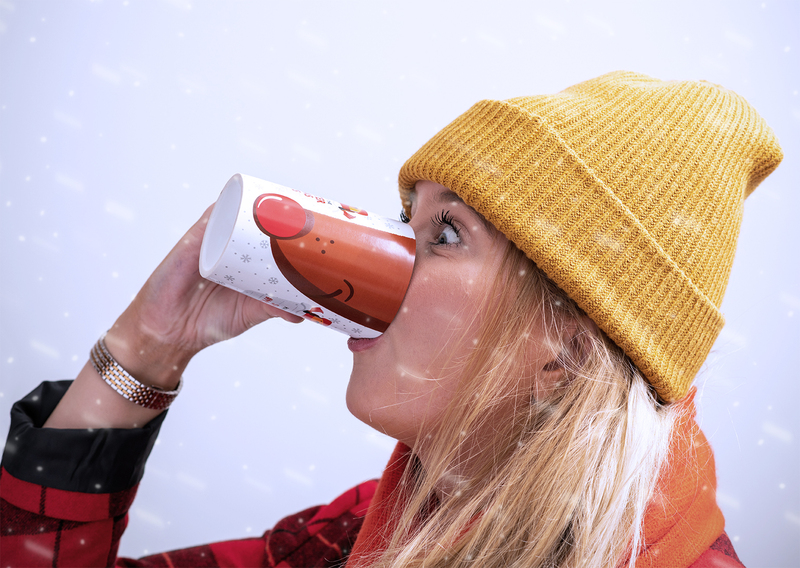 This year the limited edition mugs are interactive allowing visitors to raise their Gluhwein as readily available mistletoe – cue festive smooching – and the coffee edition transforms the drinker into Rudolph, providing your very own red nose. The Christmas Market mugs cost £3 each or can be returned to the stall and the price with be fully refunded as a deposit.